Home maintenance isn’t just about checking for repairs and keeping your home clean and organised. Home maintenance should also involve regular pest inspections too. Regular pest inspections and treatment ensure that pest problems don’t get out of hand. This allows you to properly take care of your home and your family. With pests, it is always a good idea to keep a step or two ahead of them by inspecting and treating before they become an infestation. Just because you don’t see any visible signs of termites, ants, spiders or rodents in your home, doesn’t mean they aren’t lurking in obscure areas that you wouldn’t normally see. Pest problems such as a termite invasion can cause you financial setbacks. With regular pest inspections and termite checks, you can prevent that nightmare from ever happening in your home. At Hitman, we include a free termite check with every Complete Pest Package. We treat your home inside and out for ants, cockroaches, silverfish and spiders…and we guarantee our treatments for 12 months including ants and spiders! With regular pest inspections, you will help preserve the value of your home with early detection and treatment of pest infestation. Thinking of selling? Then it’s a must for you to have your home checked for pests. If any are found, then make sure you have your home treated before you put it on the market. We all want to have a good night’s sleep knowing that our homes and our family’s well-being are both protected from the effects of pests, whether they be termites or cockroaches or rodents spreading disease. 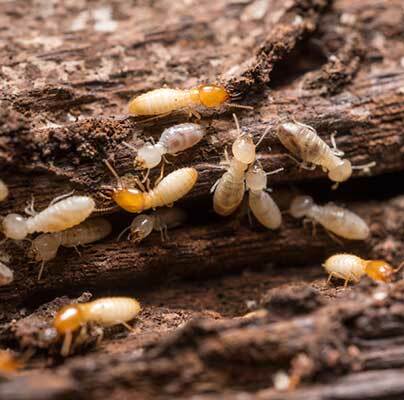 When a termite problem is out of control, it could cost you new furniture, renovations to your home, or worst, you having to move out! Although they are small pests, they can cause BIG damages in and around your home. Pests not only have a huge impact on your property. They have an impact on the quality of life too. On the other hand, the health issues associated with household pests are enormous and range from gastroenteritis to chronic allergies and asthma. For your next pest inspection and pest treatment, give the girls in the Hitman office a call on 1800 1800 32 and they will arrange a time to suit you.